The first week of January 2014 is about to end. So, how was it? Are you seeing yourself getting into the right track in accordance to the resolutions, goals and plans that you’ve set? Well, maybe it’s time to evaluate it a little earlier so as to keep yourself a little bit easier to comprehend what has to be made or what has to be changed. This article will tackle various points. Ponder on these nuggets and with mind force, you will for sure make the coming days better and more challenging. – Have you REALLY set your important goals to accomplish this year? – Have you REALLY created a game plan, a plan of action for those goals? – Have you REALLY committed yourself to become dedicated and compelling until the attainment of those goals? If your answers are all YES, well, you’re making it great. Go on and follow the path of success. If you’re doubting if you’re doing them all right, it’s time to get more vitality and keep going to where you should be. Remember, goals set must are like precious gems to be harnessed to make the most out of it. A diamond never shows its magnificent shine without polishing its rough surfaces, right? Click here to find more info about goal setting. Sometimes, we need to look back and become nostalgic with the way we dream when we are still young. Remember how we lively we answer when being asked what we wanted to be someday? Full of zest, we create stories of what we wanted to become. Why not plan now to have a story of yourself yielding to become someone greater, someone better? Inspire yourself by the plot of events and visualize yourself on each chapter of your story, as a person with great success and accomplishments. What kind of story you would like yourself to be a cast of? Would it be a story of DELIVERANCE? How are you going to turn things around on a hot streak? Should it be about IMMENSE SUCCESS? If so, think how you started 2014 fast, focused an on fire! Would it be an untold story of REGRET and how you let so many opportunities slip by? Or, will it be about EXCUSES and directing the story on how hard it was to get anything done of what’s on your goal-set? So, you have your goals set; you laid your plans and are ready to take actions. But how committed are you to do it in a consistent basis? Are you willing to take these actions through the end? We must put in our minds that it is not a healthy concept to start this year with no focus, unorganized, and uncommitted. This is a great reality that everyone must understand. If still questions linger on your mind about how some people achieve massive success and others are not, it is best to know that those successful people implement excellent execution skills. The better you plan, the better you implement; thus the better you perform, the bigger the opportunities and challenges you will overcome. Rekindle the passion of what you love to have, stir up for success and instill a more focus perspective. Here’s how. Years have passed and it is sad to realize that we have set so many resolutions, yet many of them, if not all, are not realized. We failed what we planned to achieve. Thus, it leaves us weaker, less inspired and feebler. Why do resolutions fail to work? There may be nothing wrong with your resolutions. This year is absolutely a year for you of BIG GOALS, BIG PLANS and BIG OPPORTUNITIES. However, more often it also entails BIG FEAR and BIG UNCERTAINTIES to hinder the way we want things to be. Remember this: Fear and doubts are never a reason for quitting. Only fools and feeble-minded use them as excuses to face their insecurities and dread. Life can be tough, so what? Be tougher then. Perseverance is the key to keep going. Your thoughts are powerful. They can lead to more powerful actions. So, keep going, Be more optimistic and willing to take the challenges. It is an overwhelming idea about who you are and what you are capable of achieving. The more challenging your goal is, the greater improvement you can have. IT IS a very important reality. Tests given to you to measure your potentials. And I can tell you this, when you pass these tests, you will become more resilient, more flexible and any field, tougher. In overcoming challenges, it is but normal to experience pains, failures and shortcomings. You can experience pains, anguish and grief. It will take time; success does not happen overnight. It will demand willpower; that is why taking actions requires great effort. Success requires dedication, passion, and commitment. There are times you will think of giving up, of ceasing what you have started. And you’ll make yourself proud. These all that we must do. Learn to accept, understand, and push ourselves to take actions. It is not as EASY as that. It will take time, effort and great actions. What you need to cease? STOP taking for granted big opportunities. STOP worrying and being sluggish. And STOP believing that you are NOTHING. Keep in mind that you can do EVERYTHING, ANYTHING. Your mind is so powerful. With mind force, you can utilize every valuable concept to make this year and the coming years more productive, more successful and truly incredible. 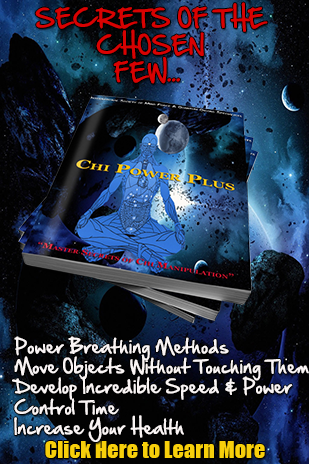 Find also details about subliminals, hypnosis, hypnotic influence, manipulation, meditation, and a whole lot more here.